Take a chance on this itinerary which features a trip to the wonderful ABBA museum and allows you to explore the beautiful city of Stockholm. Typically quaint, Stockholm has both cute back alleys and major shopping streets. This itinerary includes a private tour with a guide as well as a whistle-stop city highlights trip. Stroll through the parks of the city and make sure you do your best ABBA impressions as you immerse yourself at the museum. Arrive into Stockholm where you’ll be met by your driver who will take you to your hotel. Explore this beautiful city, rich in culture and heritage as well as magnificent architecture. Be sure to check out Gamla Stan – the old town – and have a “fika” which is the equivalent of a coffee break. Then, in the evening, visit some of Stockholm’s best gay bars such as The Secret Garden and for clubbing check out King Kong. 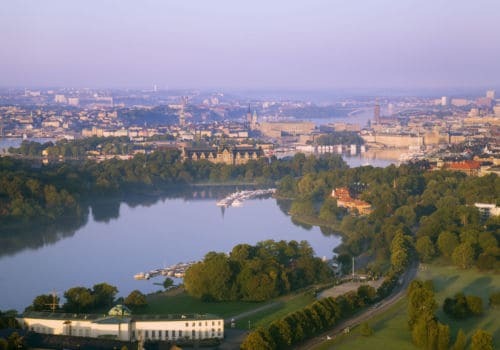 Following breakfast at your hotel, you’ll take a guided sightseeing tour that passes all the must-see attractions in Stockholm in modern, air-conditioned luxury coaches. The tour is perfect for passengers who want a non-stop tour without unnecessary stops on the way. It takes you to the most famous buildings and views over the city. City districts and famous sights such as Stockholm City Hall, The Royal Palace, Östermalm, Gamla Stan (Old Town), Långholmen and The Royal Djurgården are all parts of this tour. The afternoon and evening are at your leisure to explore further. Following breakfast, you’ll take a trip to Kungliga Djurgården (Royal Djurgården) island with your local guide and private sedan. The island consists mainly of parkland and forest, with enough to see to keep visitors busy for several days. Djurgardan is home to many museums and historical buildings, which will charm your body and soul. There is Skansen, for instance, an open-air museum presenting historical Sweden, and Vasamuseet (the Vasa Museum), featuring the warship Vasa, which sank in Stockholm on her maiden voyage in 1628 – we can here as an option include entrance to the museum. The imposing Nordiska museet (the Nordic Museum), mistaken by some visitors for the Royal Palace, is a leading international museum for Scandinavian culture and history. Stroll around the park then walk in and dance out of the ABBA museum. ABBA The Museum is more than an ordinary museum. Naturally, the members’ costumes, gold records, original items, memorabilia, and much, much more are here. 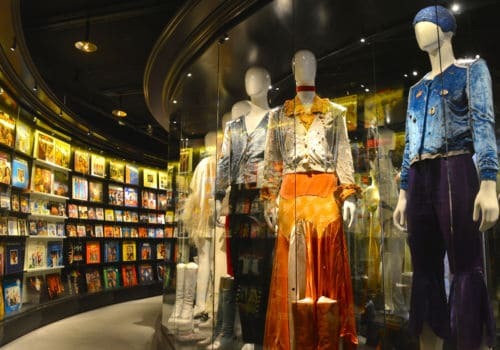 But at this museum, you are an important part of the experience and you’ll get to immerse yourself to become ABBA’s 5th member! A Eurovision fan’s dream! The afternoon and evening is at your lesiure to explore further.